The end result is flattering effort-reward curve for future Americans, an effort-reward curve that can no longer compete with more meritocratic effort-reward curves elsewhere in the world — existing ones as well a new ones that will form in our ever faster changing world. With a growth rate that is already below average (though not quite as low as that of European welfare states that have already travelled down that road) the US to world growth rate deficit will grow, and the result will be arithmetically predictable deterministic marginalization of America and its economy on the world stage. But there’s HopNChange that our morphing into a European style dismal growth welfare state is the road to salvation. The epitome of delusion my dear Americans. This hope into decline is a road well travelled by many many one nation on this planet. Seems like it’s your turn dear Americans to walk the walk, and it’s all labeled as “progress” — the epitome of delusion indeed. The only thing better than private accounts is what I wished for from my very first paycheck at age 16. The freedom to say no thanks, I’ll take care of myself, be self sufficient and a future burden to no one. The SS “trust fund” is invested in US govt treasuries while a private investment account could be a mix of stocks and bonds. Looking backwards, US treasuries returned an avg 4.9%, while a 60/40 portfolio of stocks and US bonds returned 7.6%. 7.6% vs 4.9% may not seem like a big difference, but would be a huge impact over a long time period. 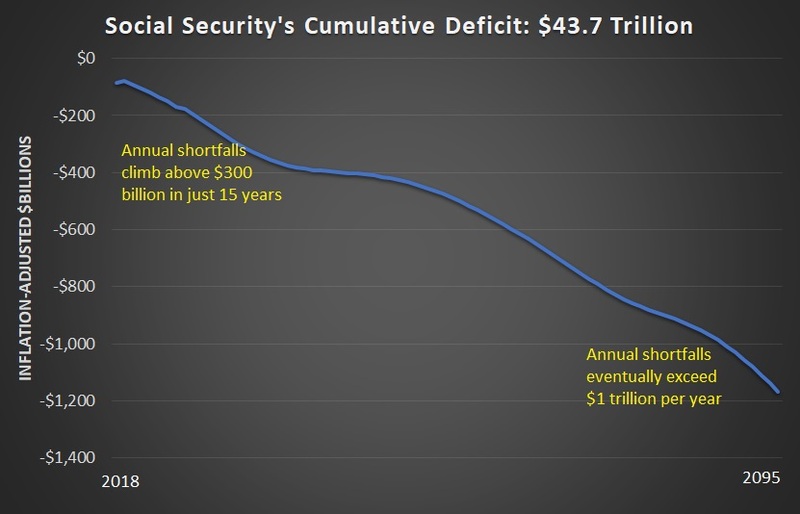 If we invested the SS contributions (employer and employee) of the typical household in a private account at 7.6%, it would grow to almost $1.6 million after 40 years. 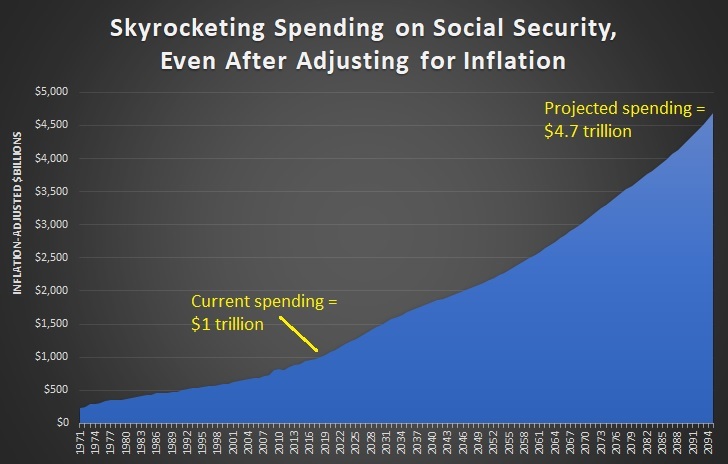 The same SS contributions invested at 4.9% would be only $0.8M. Exact results can vary depending on assumptions, but under any reasonable assumptions it is a big difference. Rebelheart’s question is a good one. You can pick any number of investment strategies that you would prefer from the S&P 500 long-term trend of about 9% per year to conservative mixes that get 5% to 6% in the long run. The tricky part comes in computing the return on Social Security taxes — which should include both the employee and employer taxes. Because of the redistributive design of the benefit formula, earners in the first quintile get a return of about 20% while those in the fourth and fifth get only 4%. All those returns are before taxes. While Social Security is tax free at lower income levels, about half of Social Security beneficiaries must pay at least some income tax on their benefits. The after-tax return becomes zero if one has $75,000 of income from any source in addition to Social Security. Returns turn negative with higher income. Has anyone created a computer model that compares personal savings accounts versus real world social security contributions? I’d love to see a comparison using a balanced portfolio of stocks and bonds.